In the heart of the Bernese Alps and 802 metres above sea level lies the Swiss village and valley, Lauterbrunnen. In terms of scenery, I don’t think there are many places in Europe that can compete, while there are more than enough ways to keep yourself occupied while you’re in this part of the Alps. While it’s a popular winter venue, Lauterbrunnen is also perfect year-round location; the valley has 72 waterfalls, the most famous of which is the 297-metre tall Staubbuch Falls. Another defining water-themed feature of the area is Trümmelbach Falls, a series of ten glacial waterfalls accessible to the public through a cave system. The entry fee is 10 Swiss Francs (CHF), but it’s completely worth the fee to experience the icy-cold falls close-up. Without a doubt, the best way to see the natural landscape is from the skies. There are multiple ways to see Switzerland from the air, including paragliding and helicopter rides. Paragliding is the cheaper option and is an adrenaline-filled, once-in-a-lifetime experience. Airtime Paragliding operates out of Lauterbrunnen and you can see much of the Jungfrau region on their ‘The Wall’ flight for 180 CHF. Other thrill-seeking experiences available in the area include mountain-biking and canyoning. From the Camping Jungfrau resort in the shadow of the Staubbuch Falls, a bike can be hired for a day for around 40 CHF. The route into Interlaken is stunning, but you won’t have much time to take it in. Even on a mountain bike, it was possible to hit over 30 mph on the downhill stages of the route. Canyoning is a slightly more extreme version of caving, which you can do around the UK’s coastline. It’s a little more expensive than some of the other ways to experience the region, but nothing quite compares to the feeling of jumping off or sliding down a waterfall into an alpine pool. The extreme sports specialist Outdoor Interlaken turn the experience into a seven-hour excursion, with transport included and some free food thrown in at the end for good measure. If you’re looking for something a little less extreme, there are miles of hiking trails around the Lauterbrunnen region. 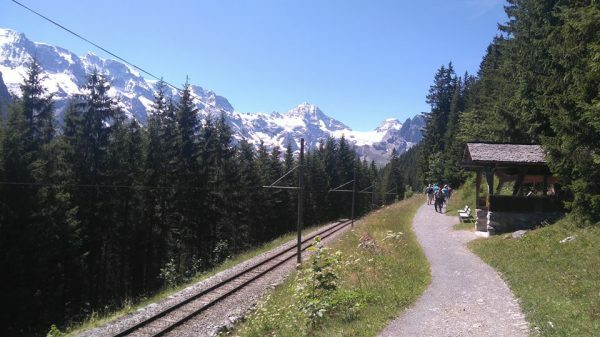 By cable car, you can get to the Mürren hiking trails, which lead to the (car-free!) village of the same name. 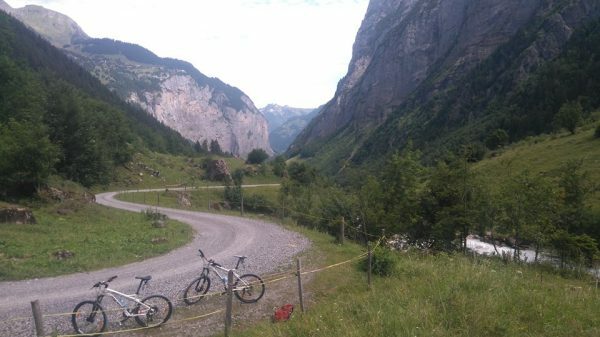 The lack of vehicle noise demonstrates the quintessentially Swiss nature of Lauterbrunnen and its surrounding areas. Everything from the eternal chiming of cowbells to the snow-topped mountain ranges is truly stereotypically Swiss. To round everything off, the Schilthorn peak in the area is well-known for being in the Bond movie ‘On Her Majesty’s Secret Service,’ and the trail to Interlaken supposedly inspired Tolkien’s Middle Earth in The Hobbit, turning beautiful scenery into the mythical and fictional. For all of the big thrill-seeking aspects and the remarkable scenery, it’s the smaller details that help make Lauterbrunnen my favourite place in the world. It’s just a shame it’s not very student-budget friendly, but it’s truly worth the expense to visit.